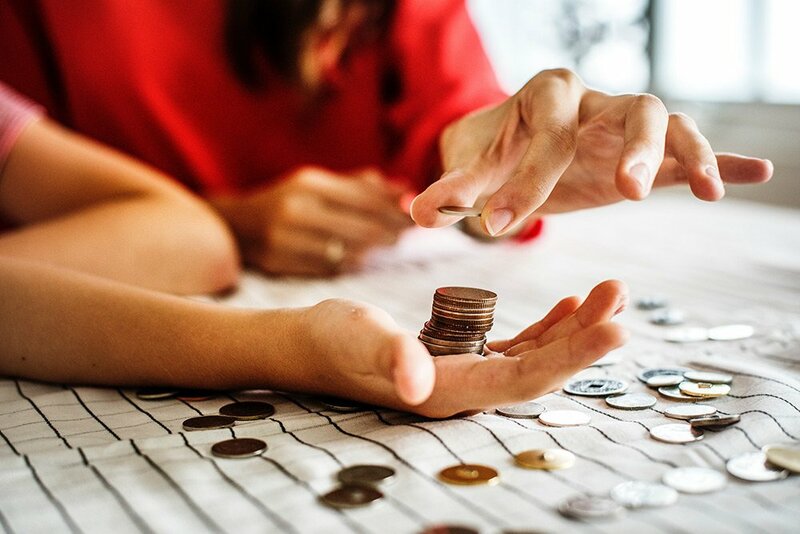 You can control your heater from your mobile even when you are not at home with Cosa Smart Thermostat Heater Control while saving up to 30% on natural gas. 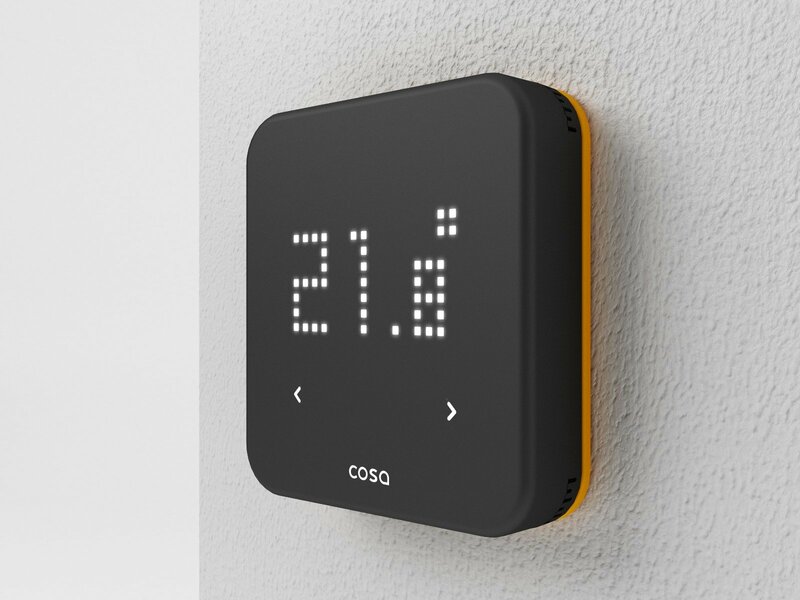 Cosa is a mobile controlled smart thermostat which saves up to 30% from utiliy consumption while controling your heater, radiator and air conditioner according to your preferences with it's smart features. A house can overheat during the daytime if a room thermostat is not used. A room thermostat can prevent unnecessary energy loss by keeping the temprature of a house constant. Cosa, unlike a regular room thermostat, can help you to save on energy while you are sleeping or out of home with the help of it's smart modes and easy to use user interface. Cosa is compatible with all ON/OFF type heaters in the world. Reach us if you want us to check your heater model specifically. A house can overheat during the daytime if a room thermostat is not used. A room thermostat can prevent unnecessary energy loss by keeping the temperature of a house constant. 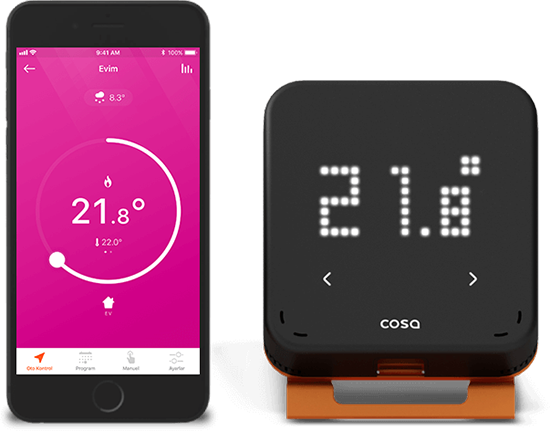 Cosa, unlike a regular room thermostat, can help you to save on energy while you are sleeping or out of the home with the help of its smart modes and easy to use user interface. Cosa Smart Thermostat, offers a comfortable life while helping you to save on utiliy bills with its smart home technology. Set the temprature you feel comfortable at home. 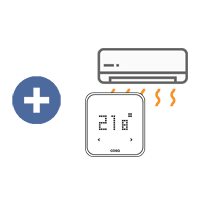 Cosa will keep the temprature constant at Home Mode to keep you comfortable and save on utility by preventing unnecessary heating of home. It's better to decrease the room temprature for 1 or 2 degrees. This helps you have a healhier sleep at night while saving on energy cost. It is unnecesary to keep the temprature constant when there is no one at home. Away mode helps you to decrease home temprature to save on energy, while letting you immediately increase it when you arrive home. 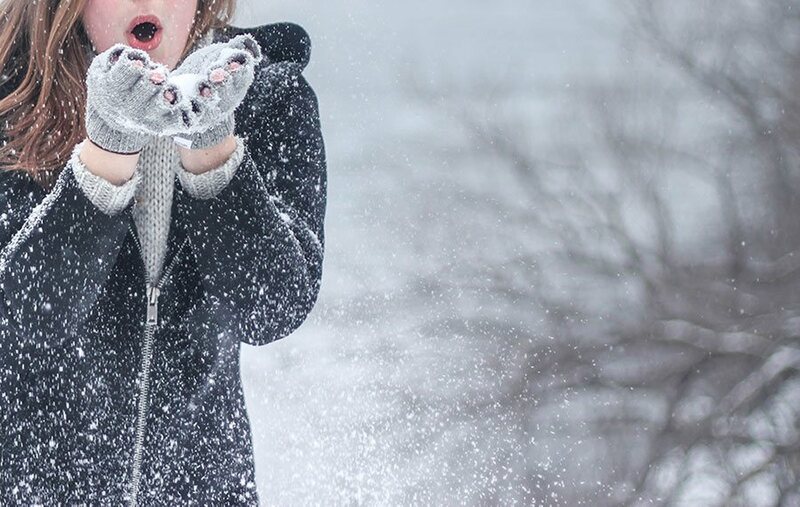 Cosa geolocation sensing technology warms your house in winter while cooling it in summer when you or any family members are away. Weekly Schedule enables Cosa to heat or cool your house according to your weekly program. You can switch between smart modes from the mobile app whenever you want it. Control your Cosa with Alexa. 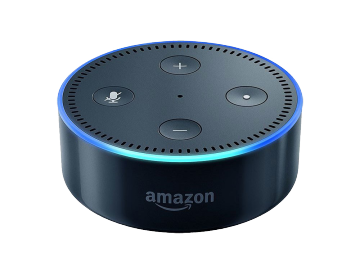 An Amazon Alexa user can command Cosa as “Alexa, make Cosa cooler.” to cool the house or command as “Alexa, set Cosa to 20.” to set the room temprature. Upgrade your Cosa Heater Control with smart extensions. 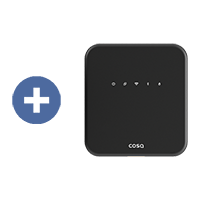 You can connect your heater to smart thermostat without cabling by using Cosa Wireless Heater Connection Unit; you can control each room's temperature individually by controlling each room's individual radiator by using Cosa Smart Valve; you can control your air conditioner with the same heater control unit by using Cosa Air Conditioner Control Service. Ideal, if you don't have a cabled room thermostat at home or your heater is far from where you live! Ideal, if you want to control each room's temprature individually. Ideal, if you you want to contol your air conditioner in the summer, as you control your heater in winter! Want to learn more? Leave your contact details.